Lets talk about Sleep Cycles and Health. I believe this is true for most people. I also believe the significance of sleep tends to be underestimated. What is the connection between sleep and health? What are the different sleep cycles, and why are they important? Does sleeplessness cause illnesses? I’ll answer all these questions, and more. There are four cycles, or stages of sleep. The first three are non-rapid eye movement sleep cycles (NREM), or dreamless sleep. The first cycle occurs when you go to bed. Your eyes are closed. During this stage, it is very easy to return to being fully awake. The stage only lasts 5 – 10 minutes. When you wake up, you feel like you haven’t slept at all. Your muscles are not relaxed. However, your blood pressure and body temperature start to drop. In this stage, we also experience a kind of jerk that may be accompanied by the sensation of falling down. This is a reflex that some scientists believe humans developed during the evolutionary process to keep them from falling off trees they’d fall asleep in. In the second cycle, which typically lasts about 20 minutes, your heart rate slows down and your body temperature decreases further. It becomes harder to wake someone up in this cycle. The brain waves start getting longer. Just under 50% of all sleep is in the second cycle. This stage usually starts around half an hour after falling asleep. Brain waves get slower and bigger. In this cycle, most people can sleep through noises and movements in the environment. You feel disoriented for the first few minutes after waking up if you were in this cycle. This is the last sleep cycle. The first rapid eye movement (REM) sleep stage lasts around 10 minutes. Most people sleep an hour and a half before entering this stage. The eyes move rapidly in all directions, hence the name. You dream during this stage, the deepest sleep. The heart rate and respiration rate increase. Sometimes they become irregular. The REM stage usually gets longer and longer, and its last phase can last up to an hour. REM sleep is also referred to as “paradoxical sleep” because the brain waves are similar to when you’re wide awake. Most of our muscles are paralyzed in this stage, even though the brain shows heightened activity. Every hour and a half, a normal person shifts between the two major categories of sleep – non-REM and REM. However, the duration of sleep in these categories tends to vary. During “quiet” sleep, you will experience the above-described first three cycles. REM sleep enhances cognitive functions such as learning and memory and contributes to emotional health. Sleep disruption — which affects stress hormones and levels of neurotransmitters, among other things — does damage to the brain, impairing cognitive and emotional regulation. In this way, sleeplessness or poor quality sleep may exacerbate the effects of psychiatric disorders, and vice versa. There are over 70 types of sleep disorders known to man. The most common problems are obstructive sleep apnea (disordered breathing that causes people to wake up many times at night), insomnia (difficulty falling or staying asleep), various movement issues (unpleasant sensations that prompt night fidgeting), and narcolepsy (feeling extremely sleepy to the point of suddenly falling asleep during the day). The types, impact, and prevalence of sleep disorders vary depending on the person or population, but there is such great overlap between sleep disorders and various psychiatric issues that researchers have come to believe these problems have common roots. I’ll look at the most common sleep-related disorders. Sleep problems affect over half of adult patients with generalized anxiety disorder. They are also common in people suffering from post-traumatic stress disorder (PTSD), and may occur in obsessive-compulsive disorder, panic disorder, and phobias. They are also common in teens and children. One sleep lab study found that children suffering from an anxiety disorder needed more time to fall asleep and had less REM sleep than healthy children. Insomnia (sleeplessness) contributes to the development of an anxiety disorder, but less so than to depression. A study on teens showed sleep problems preceded anxiety disorders three times less often than depression. However, insomnia can exacerbate the symptoms of anxiety disorders or hinder recovery. Sleep disruptions in PTSD, for example, make it more likely to retain negative emotional memories and keep patients from moving forward in cognitive behavioral therapy. Insomnia can disrupt the levels of essential neurotransmitters in the brain that regulate sleep, such as serotonin and gamma-aminobutyric acid (GABA). Feelings of anxiety are exacerbated when this happens. A variety of studies using different methods and participants have shown that 65% to 90% of adult patients suffering from major depression and almost all children with this disorder have some sort of sleep issues. Most patients with depression also struggle with insomnia. Around 20% of them also suffer from obstructive sleep apnea. Sleep problems also contribute to a higher risk of developing depression. A longitudinal study on around 1,000 adults in the US found that those who reported a history of insomnia during an interview 25 years ago were four times as likely to develop major depression in the next three years compared with normal sleepers. Moreover, two longitudinal studies in young people — one involving 1,014 teenagers and another on 300 pairs of young twins — found that sleep problems preceded major depression. Sleep issues also affect outcomes for patients with depression. Research shows that depressed patients who continue to struggle with insomnia are less likely to respond to therapy compared to those without sleep problems. Depressed patients who experience sleep problems have suicidal thoughts more often and are also more likely to commit suicide than depressed patients who have no sleep troubles. Even patients whose mood improves with antidepressant medication face a greater risk for relapse of depression later on. While a person sleeps, their immune system produces protective substances like cytokines that fight infection. The body uses these substances to fight foreign invaders such as bacteria and viruses. Cytokines also help a person sleep, giving their immune system more energy to protect them from diseases. Sleep deprivation keeps the immune system from building up the strength to attack these bacteria. If you don’t get enough sleep, it will also take you longer to recuperate from an illness. Long-term sleep deprivation also leads to a higher risk for chronic illnesses like diabetes, heart disease, and even cancer. Let’s look at the systems implicated in sleeplessness. Chronic sleep deprivation is a risk factor for becoming overweight or obese because sleep has an effect on the levels of ghrelin and leptin, two hormones that control feelings of hunger and fullness. The second one, leptin, sends signals to your brain that you’re full. When you haven’t slept enough, the brain reduces the levels of leptin and raises the levels of ghrelin, an appetite stimulant, correspondingly. The flux of these hormones could explain why we overeat the next day or even get up and raid the fridge at night. Sleep deprivation can also contribute to weight gain because you feel too tired to exercise. Lack of sleep prompts your body to release more insulin after having a meal. As you probably know, insulin controls your blood sugar level, and higher insulin levels tell the brain to start storing fat. When this process becomes chronic, it can cause type 2 diabetes. Insufficient sleep can exacerbate existing respiratory diseases, such as chronic lung illness. Sleep apnea can interrupt your sleep and reduce its quality. Sleep deprivation makes one more vulnerable to common lung infections like the flu. Waking up throughout the night affects hormone production. For example, you need several hours of uninterrupted sleep to produce testosterone. Poor quality sleep affects the production of growth hormones, which is particularly important for children and adolescents because these hormones help repair tissue and cells and build muscle mass. 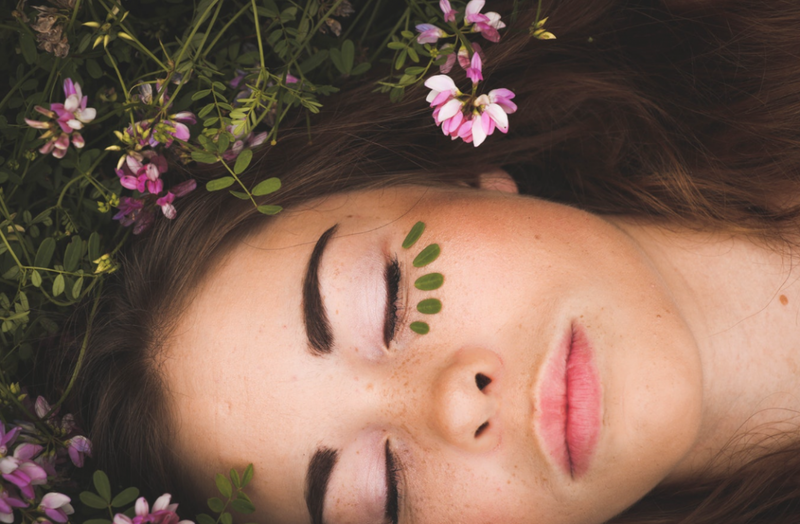 Sleep affects processes that help the cardiovascular system function optimally, including such regulating blood pressure and blood sugar levels. People suffering from insomnia are more likely to get cardiovascular disease according to a study published in the European Journal of Preventive Oncology. This study linked sleeplessness to a greater risk of heart attack and stroke. Getting back to all seriousness, insomnia is a real issue that causes serious mental and physical health problems. Fortunately insomnia and other sleep problems can easily be helped to improve your overall sleep and wellbeing with the right strategies in place. If you are struggling with your sleep, contact our clinic today to discuss how I can help you start getting a better night’s sleep tonight. 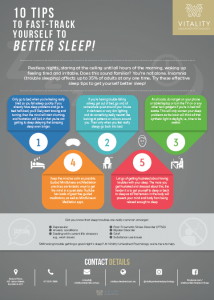 In the meantime, download our free sleep tip sheet to get on your way to better sleep! If you find yourself struggling with sleep, contact us today on 07 5574 3888 or email [email protected] to discuss how Ashley our Gold Coast Psychologist can help you to start to get better sleep and live a more fulfilling, happier life again. This entry was posted in Blog Article, happiness, Sleep, Stress and tagged blog, health, insomnia, sleep.